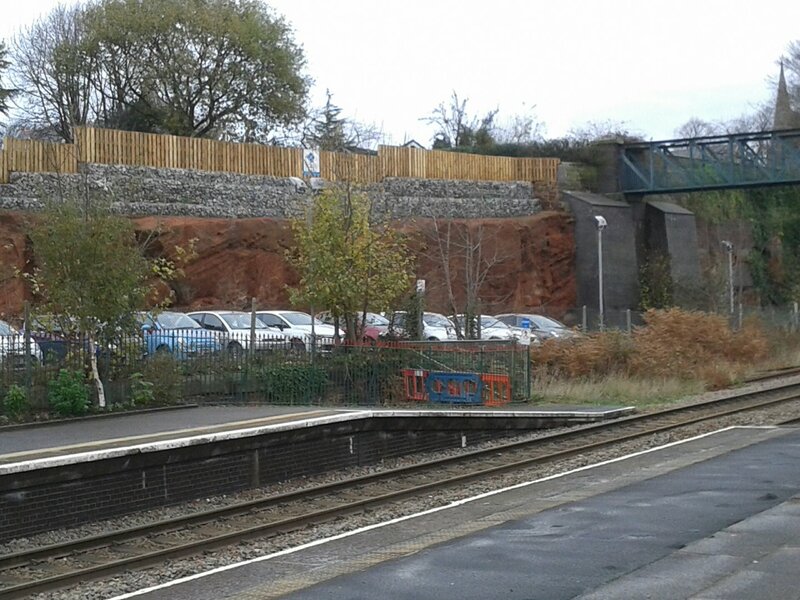 The cliff face to the east of Frodsham Station, which collapsed several years ago has recently been consolidated and "Gabbions" installed along the top of the cliff to strengthen the cliff top area which is used for allotments. The cliff face collapsed several years ago and due its protected status it has taken a while to gain the correct approvals for the work to take place. This work has improved the area and the "Gabbions" form a neat edge in this area which is part of a Site of Special Scientific Importance(SSSI) due to the formation of the rock which was formed from sand dunes and is part of the Triassic Helsby Sandstone Formation.